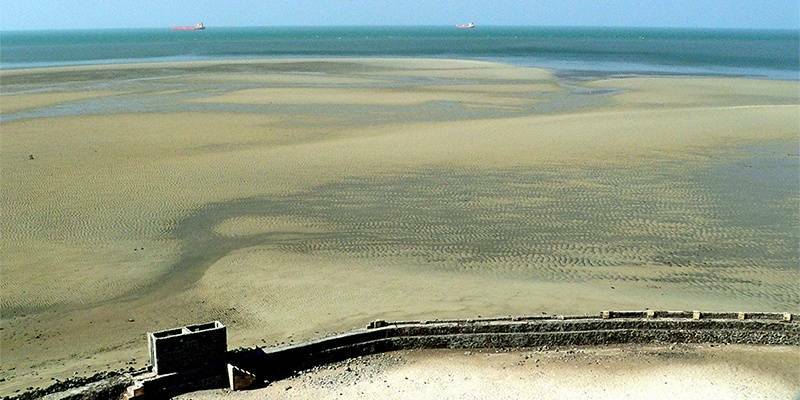 Gopnath Beach is situated on the Gulf of Khambat. It is at an approximate distance of 70 km from Bhavnagar. Away from the hustle bustle of the city, this place is a must visit if you ever plan a trip to Gujarat. 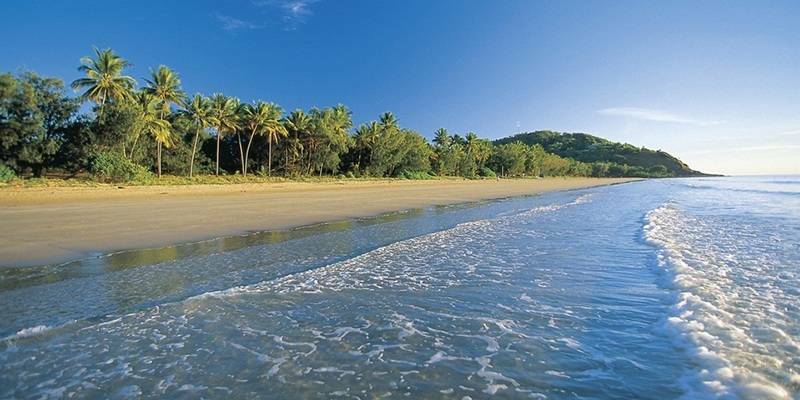 The beach is famous for its surreal natural beauty, limestone cliffs and rich biodiversity. Apart from this, Gopnath Temple which is located nearby can also be visited. It boasts of a 700 year old shrine and is often visited by tourists. A palace near the beach is renowned for its architecture and is a must visit for all the history and architecture buffs. Not many housing facilities are available in this area. Therefore, it is advisable to stay in Bhavnagar which has many hotels. Overall, Gopnath beach is a good getaway if you are looking for a relaxed weekend amidst the nature. Narala Island and Pirotan are located in the Arabian Sea near the shore of Gujarat. It falls under the jurisdiction of Jamnagar district, Gujarat. It is one of the very few islands of the area where entry is permitted. It is a small island just 3 sq km in area. It is characterized by Mangroves including species like Ceriops, Avicennia and Rhizophora. It is also a region of high tides therefore, swimming for long hours and long distance should be avoided at all costs. The main attraction here is the holy shrine of Khwaja Khizer Rahmatullahialaih. Another important site is the 25m high lighthouse which was used for navigation. 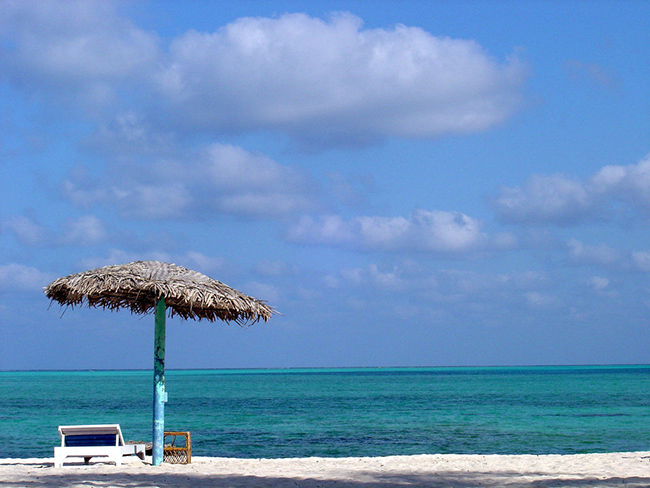 It is a protected Marine Area and thus special permissions are required to visit this island. However, if you do get the permission then winters is the best time to visit. Navlakha Temple is situated in Ghumli, Gujarat. It was built in the 11th century by Jhetwa Rulers. It is devoted to the Sun God, Lord Surya. 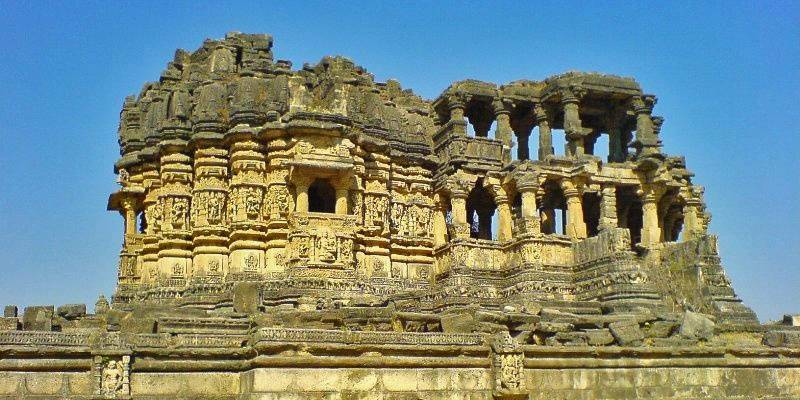 It is deemed to be one of the oldest sun temples of Gujarat. It is believed to have the largest foundation base of all the temples in the state. Earlier, it had a beautiful arch at the entrance which was destroyed with other parts of the temple when Ghumli was attacked. The pillars and balconies are still examples of awe inspiring beauty. Many sculptures are present within the premises. The statues of Brahma – Savitri, Shiv – Parvati, Vishnu- Lakshmi are the main attractions. Unique to Solanki style of architecture, three intertwined elephant tusks can also be spotted. The authorities have taken good care of the site and have restored most parts of the temple. 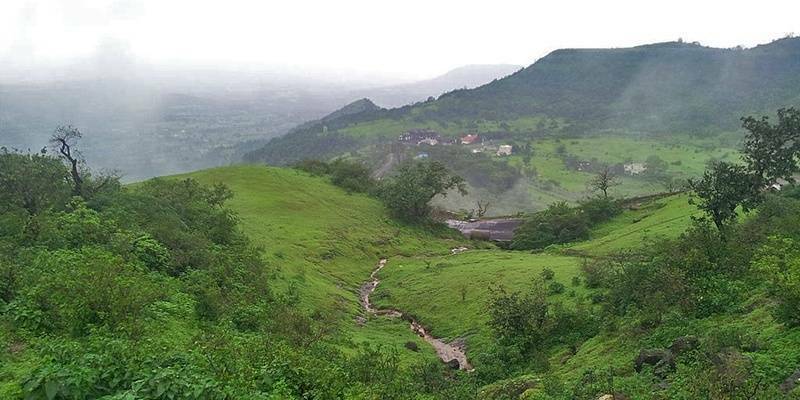 Saputara, a hill station is located in Wanarchond area of Gujarat. A botanical garden is nearby which is also a famous tourist attraction. Gira Falls is an ideal place for a picnic. The best time to visit is during the monsoons or after that. Gira Falls is nearby and is a good place to visit. 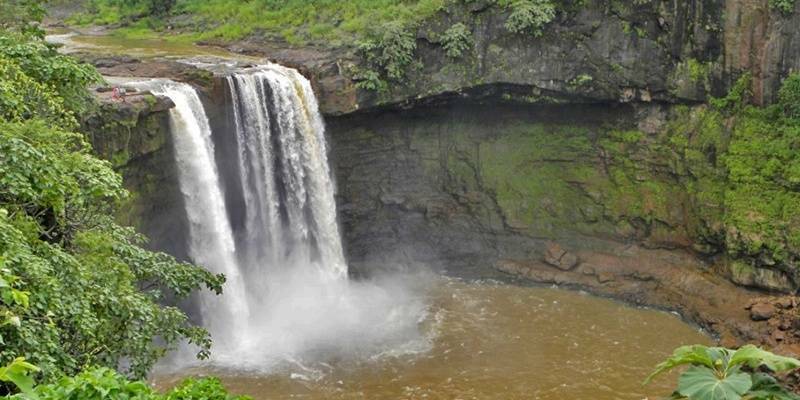 Gira Falls is 75 feet high and originates from Kapri and falls to join River Ambika. The surreal beauty if this area is breath-taking. The foggy weather due to the high speed of the water will surely rejuvenate you. Accommodation is not available in this area but there are many facilities available in Saputara. To reach Gira Falls, the vehicle has to be parked about 1 km away from the main site and then you have to walk to this place. 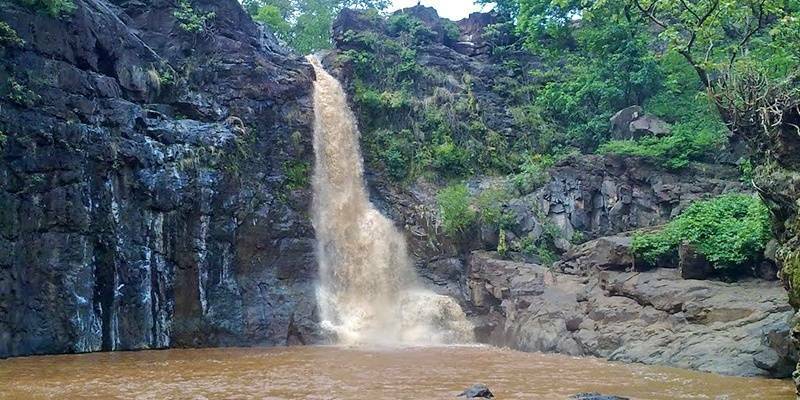 Girmal waterfalls are at an approximate distance of 8 km from the village of Nishana, Gujarat. With a total height of more than 100 feet, this is the highest waterfall in Gujarat. The spectacular natural beauty of this place will leave you completely mesmerized. Due to the height and fast speed of the water, the weather is often foggy and a rainbow can be easily seen. The best time to visit is the monsoon season. 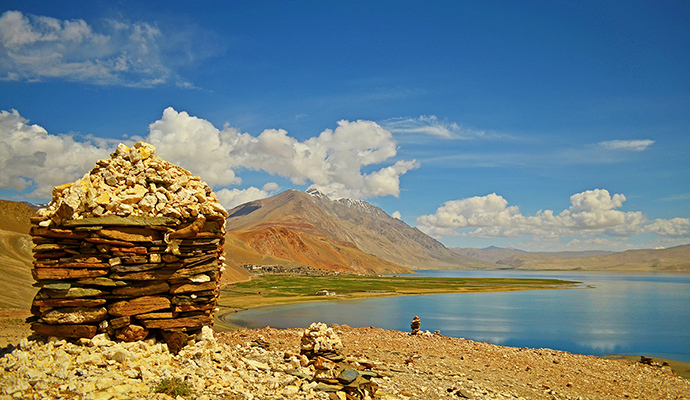 The surrounding area is an amazing picnic spot. Lush green trees surround the waterfall. This is an amazing getaway for the weekend. Many tourist attractions like Gavdahad View Point, Purna Sanctuary, Dang Darbar, Saptashringi Devi Mandir, and Botanical Garden are nearby. This place is well connected by roads and reaching here should not be a problem. Ninai Waterfall is located in the Narmada District of Gujarat. They originate in the Narmada River. It is a comparatively shorter waterfall with a height of only about 30 feet. Nonetheless, the picturesque beauty of this place is awe inspiring. Measures have been taken by the Government to transform this place into an Eco Tourism hot spot. The surrounding forest serves as a perfect location for a picnic. The surreal beauty of this nature will surely refresh you. Away from the hustle bustle of the city, this is a good place to relax. The nearest station is Baruch which is about 125 km away. Shoolpaneshwar Wildlife Sanctuary is also nearby. The best time to visit is in the monsoon season. Every nature lover must visit this place. 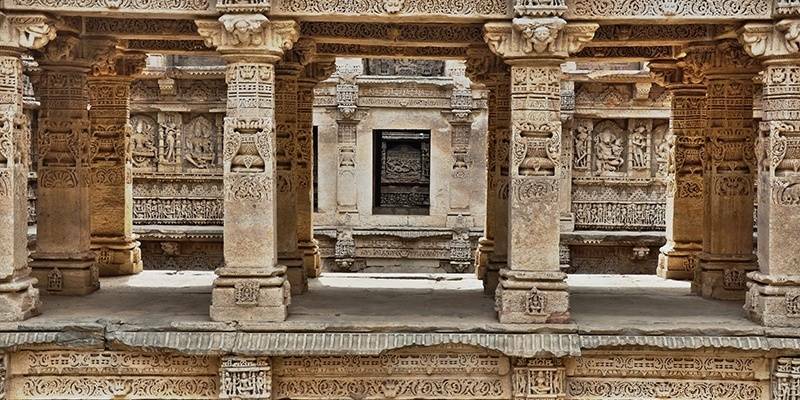 Patan is an ancient town located in Gujarat. It was founded by Chavda Rulers in 745 AD. For quite a long time, it functioned as the capital but was destroyed in an attack in 13thcentury. A new town was formed but many buildings of the area are still in ruins. Rani ki Vav is a spectacular step well which Queen Udaymati built to honour the death of her husband, King Bhimdev. This has been declared a World Heritage Site. Patola of Patan is another important tourist attraction. Apart from these, many stepwells, temples and lakes are present which attract many tourists. The area of the old city is a site of archaeological importance and must be visited by all the history buffs. Modern day Patan has all that must be present in a modern city. Accommodation is easily available and reaching Patan should also not be a problem. This list is definitely not complete. There is so much more to do in a state as grand as Gujarat. Any tour of India is incomplete without a visit to this state.